LifeTech Sterilizing Portable water Pocket filter whether downtown wilderness. 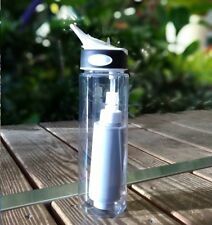 Portable Water Pocket Filter, You only need to fill tap water or stream water. Filter micro plastics in PET bottle water - Carry your portable pocket filter.